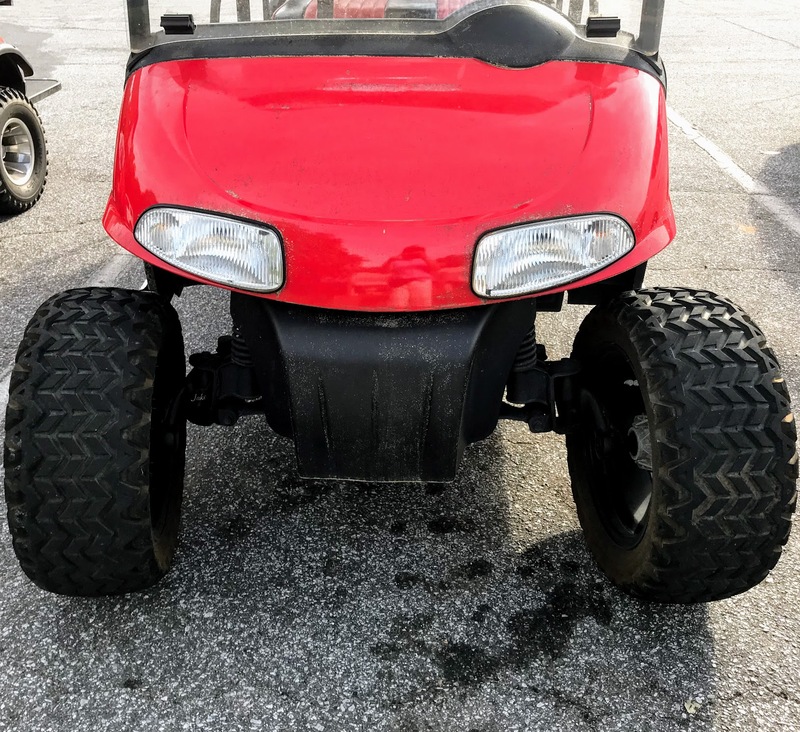 A lifted golf cart gives your golf cart the clearance it needs for off roading or a custom look that sets it apart from other golf carts..
You can create your own custom lifted golf car - all you need is time and money. 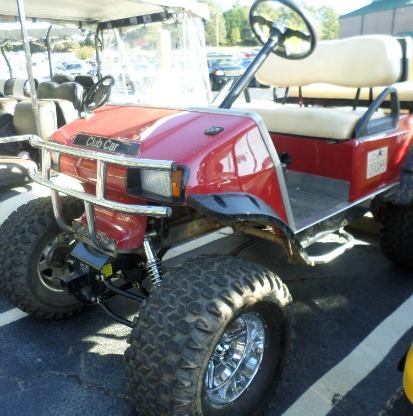 There are plenty of lifted carts in Peachtree City - there are especially a ton of them in the high school parking lot. The Club Car on the left is a non-lifted cart and the EZGO custom lifted golf cart is on the right. The only problem with driving a lifted cart here in this golf cart community is getting clearance under the tunnels. There are lots of tunnels on our golf cart paths that take us under busy roads, and these tunnels just aren't tall enough for some of the lifted carts. If you are wanting a golf cart to go off roading or to use on rough terrain, a lifted cart will give you the clearance you need. Depending on what kit you get, you can get 4-8 inches of better clearance compared to a stock golf cart. When purchasing your kit you will need to know the make, model and year of your golf cart. What Size Golf Cart Lift Kit? There are different sizes of lift kits. They range from 3" to 8." 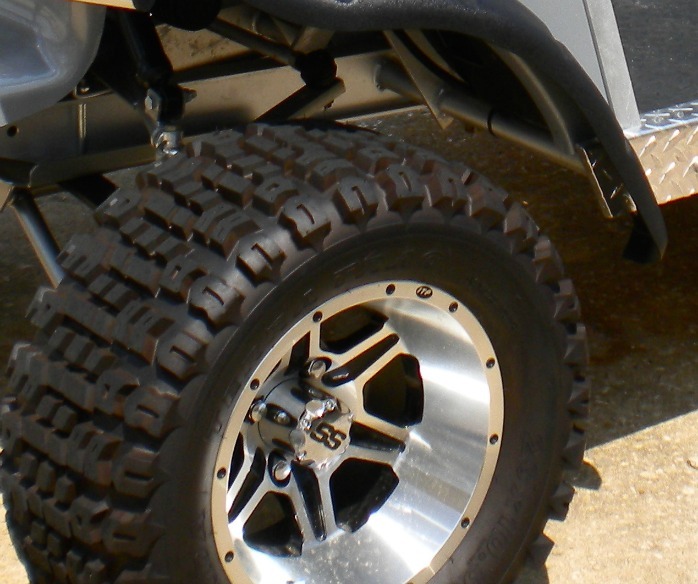 The size of the lift kit will be determined by the size of the off road tire you want to use. The most popular size golf cart lift kit is the 3" lift. They work great for those who just want some extra height and some bigger tires. if you don't plan on upgrading your tires and wheels you need to know the size of the tire you have to accommodate the lift. Larger wheels and tires make the cart go faster. The wider tires give the lifted golf cart more stability. For those who golf, it's good to be aware that you can't use lifted golf carts on golf courses. 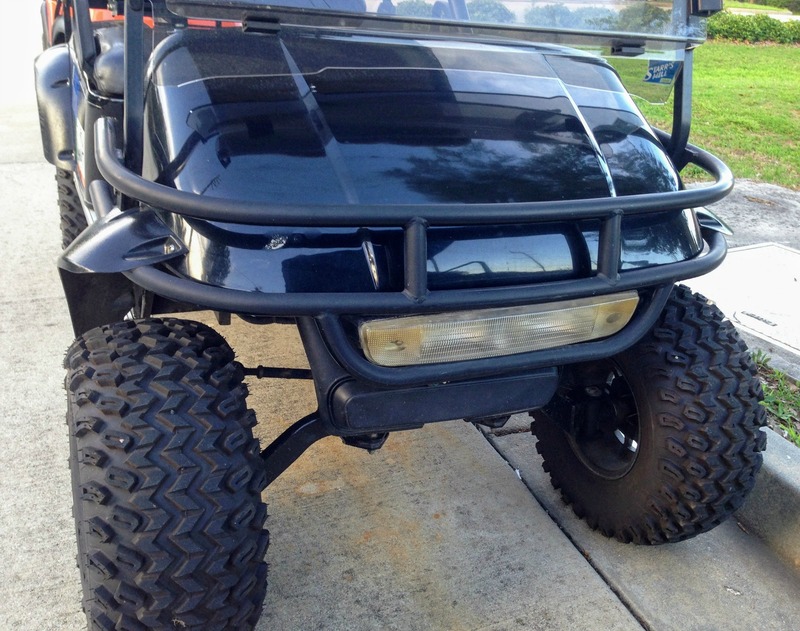 Offset wheels are needed on golf carts with a lift kit. Ordinary golf cart tires will hit the frame. 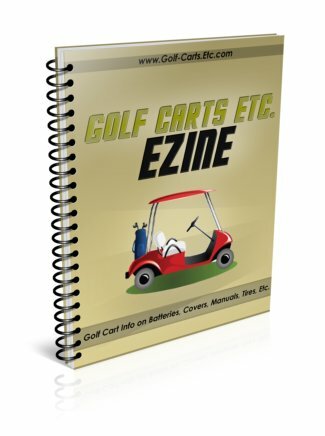 These kits are specific to your golf cart model, make and year. There is substantial savings if you buy a kit that includes the golf cart wheels and tires. Lifted carts are used usually for the purpose of taking it off-road for hunting or just for fun. Instead of smooth pavement, the cart that will be used on rough, uneven, rocky, muddy and wet terrain requires a tire with a deeper tread. Also specific wheels are necessary to get the maximum lift desired. Golf cart wheel spacers can give a lifted cart more stability by increasing the axel width of your cart. Spacers range in size from 1.00" to 2.5". If you get a 2" wheel spacer then you will increase your width by 4". 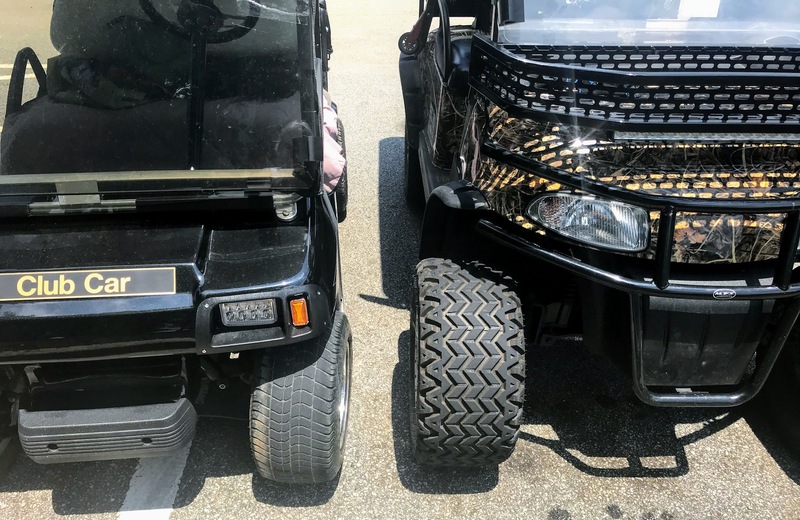 What size tires can you use on a lifted golf cart? Of course you can use any 8" tire or low profile tire. 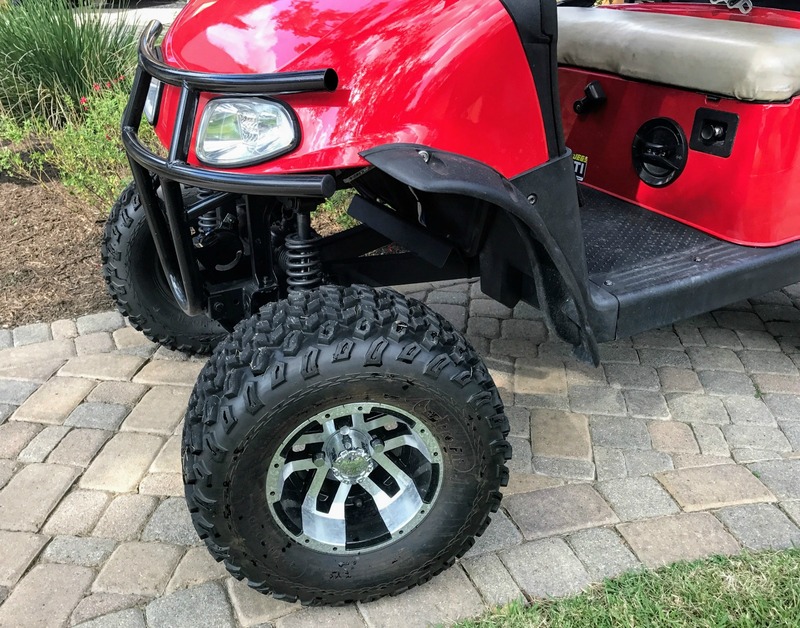 But usually golf cart owners like to use bigger golf cart tires that measure anywhere from 10" to 23" depending on the size of the lift kit. What make you own makes a difference as well. EZGO golf carts can accommodate a larger tire without a lift kit, while a Club Car cannot. A heavy duty springs set completes your lifted golf cart by providing stability, reducing sag and eliminating your tires from rubbing. The make, model and year of your golf cart determines which lift kit you purchase. While most people associate these kits with all terrain, off-roading, they are a popular look for any use of your golf cart. Some sellers sell this golf cart part as a set of 2 and others a set of 4.